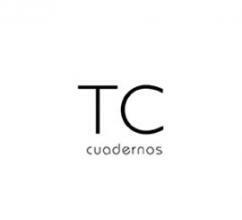 TC Cuadernos publications have a practical nature that seeks to inform the reader of the best architectural proposals around the world. Thus, the emphasis to explain projects meticulously contributes to the architecture shown serve to improve the making who looks to her for learning for its own work. The magazine follows three main lines. First, the monographs of architects of Dedalo series analyzes thoroughly the work of an architect or team of architects, consecrated or youth, focusing on their most representative works. Architectural competitions focus the second series of the magazine in which the best awarded proposals are presented twice a year in national and international competitions and in different typology. Finally, the most emblematic works justify a third series with monographs dedicated to works like Barajas Airport Terminal 4 of Richard Rogers and Estudio Lamela, the Congress Palace in Merida of Nieto Sobejano Architects or the Auditorium in Leon of Tuñon and Mansilla.